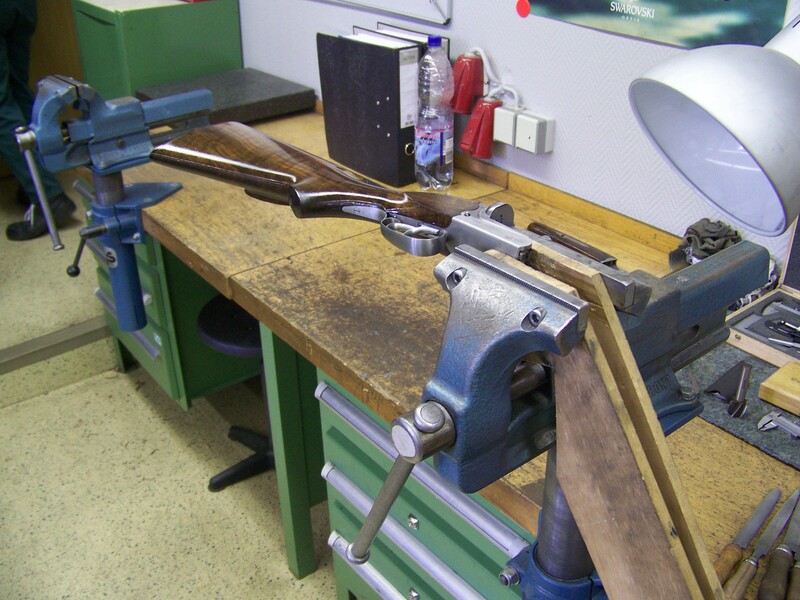 The Suhl Gun Makers School is located at Robert-Schumann Strasse 6. 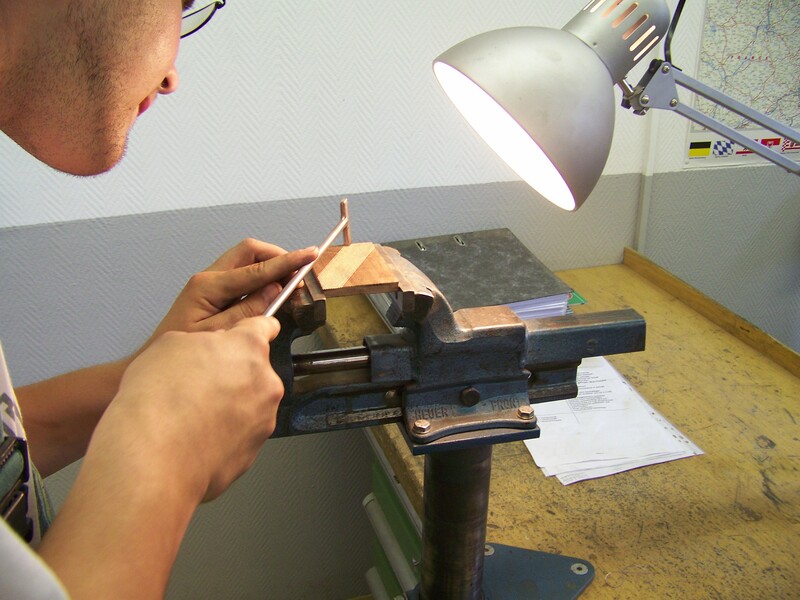 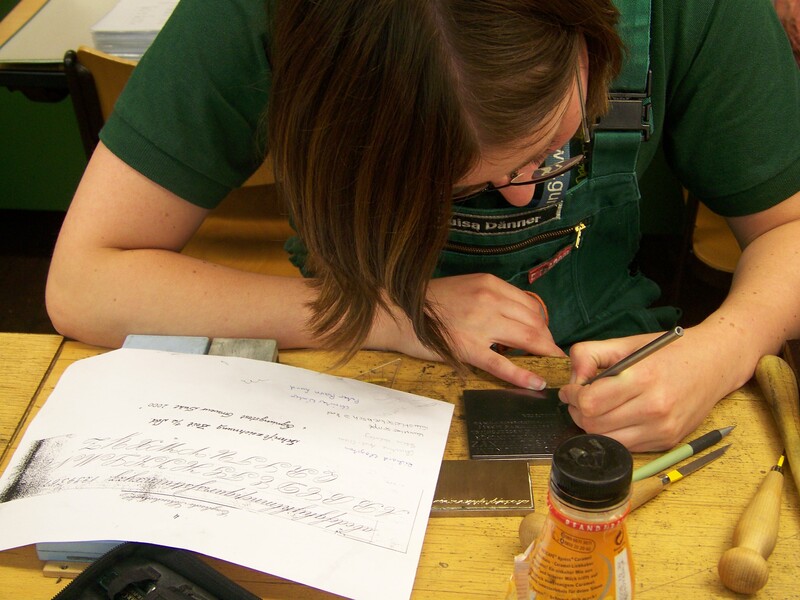 The 3 year courses cover both Gun Making and Engraving. 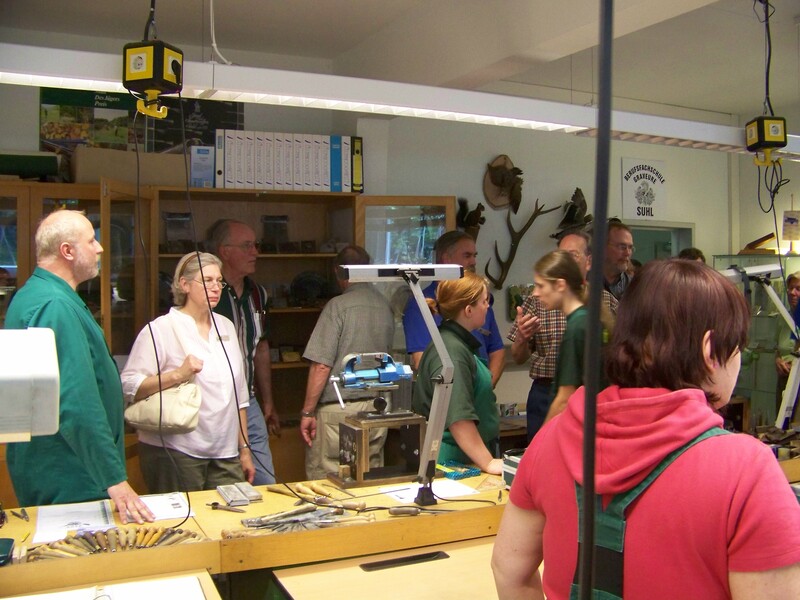 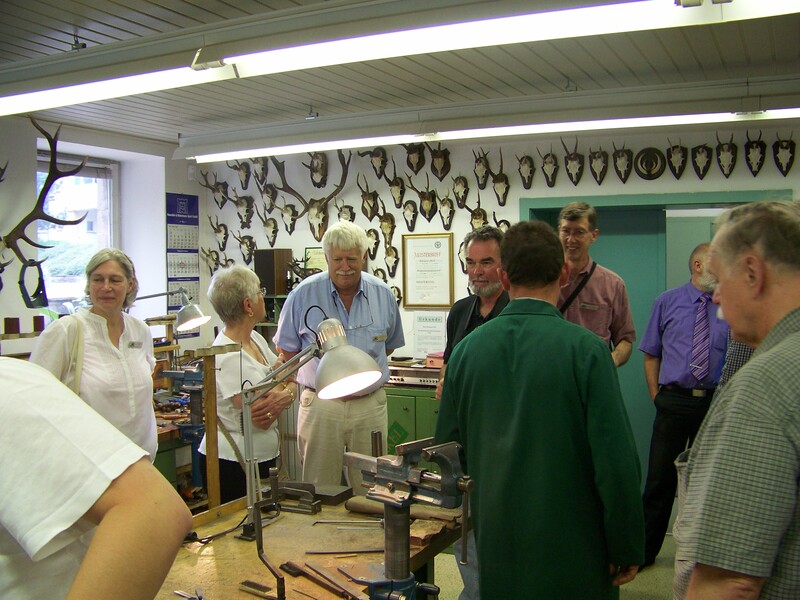 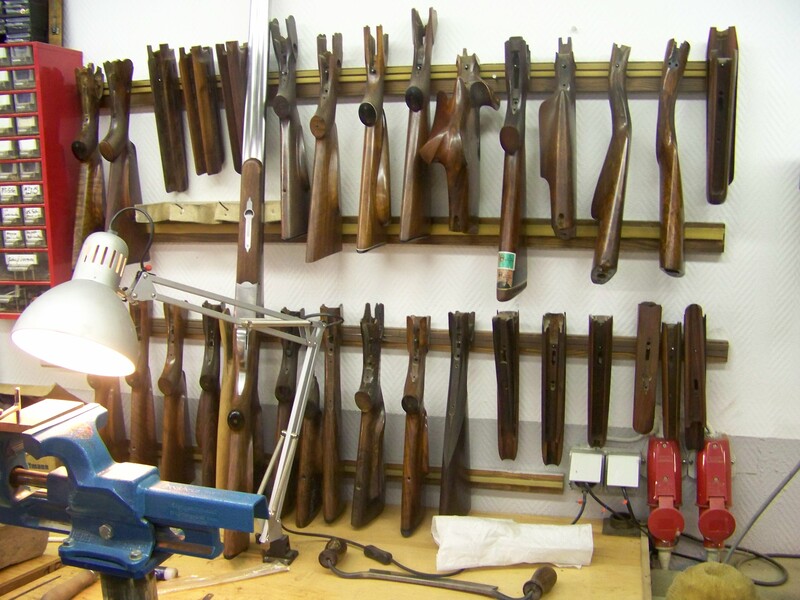 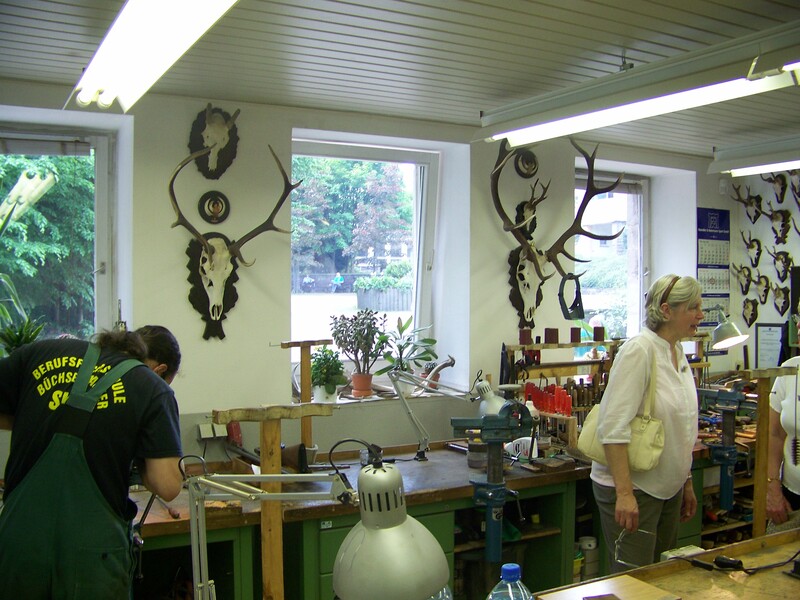 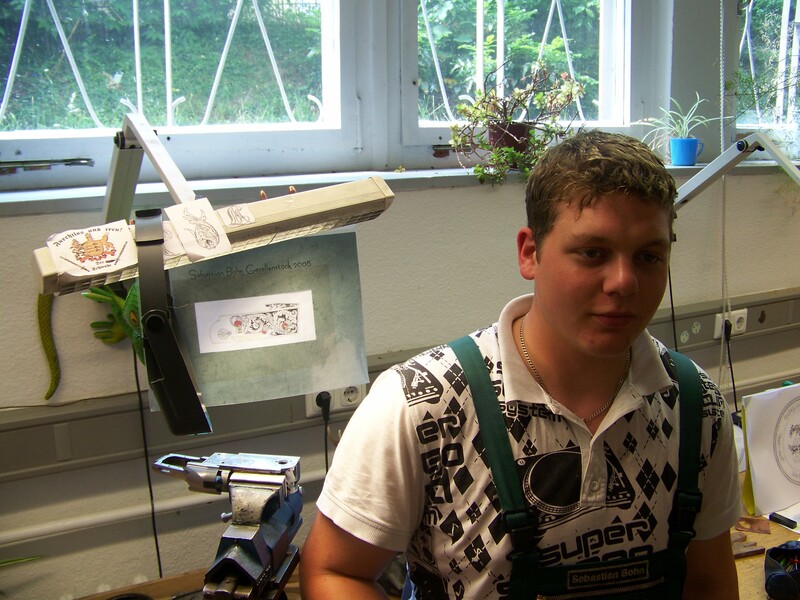 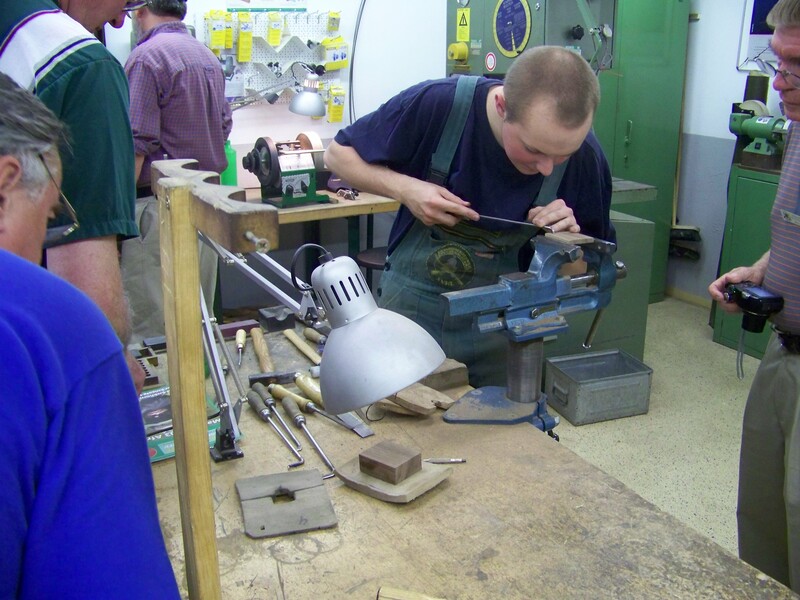 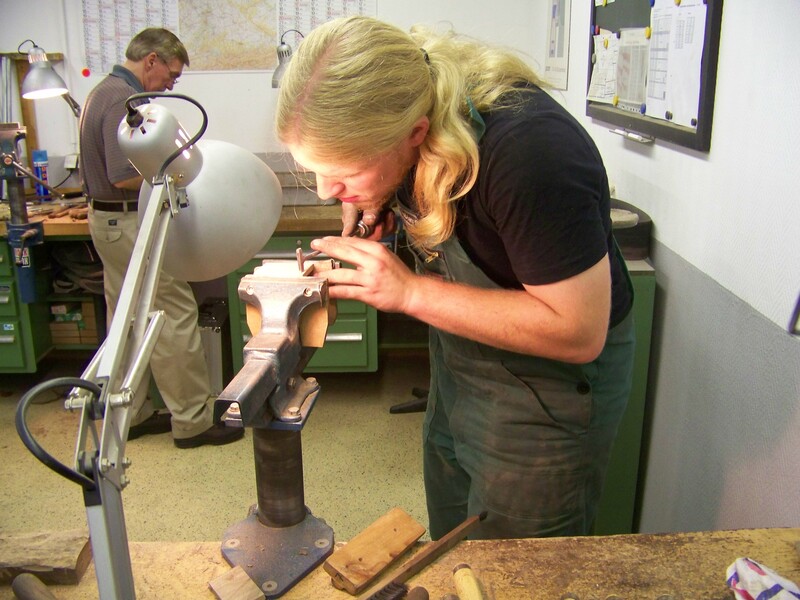 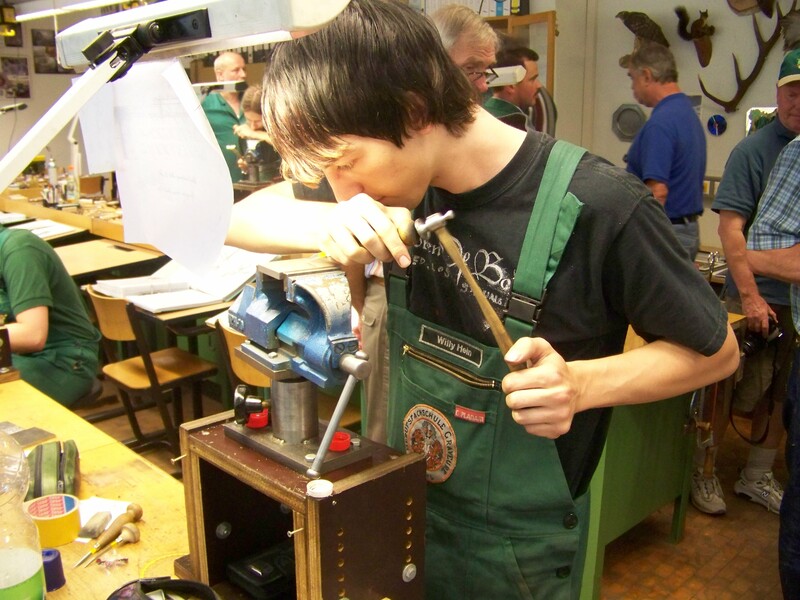 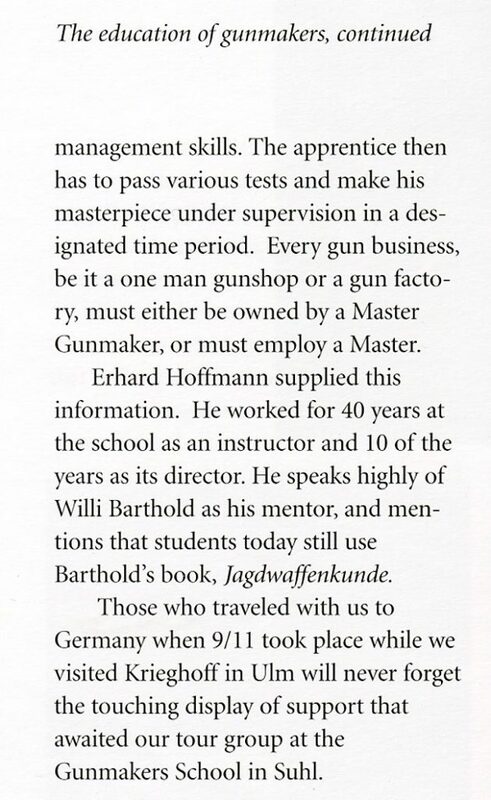 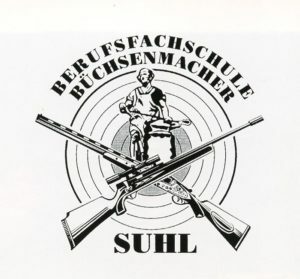 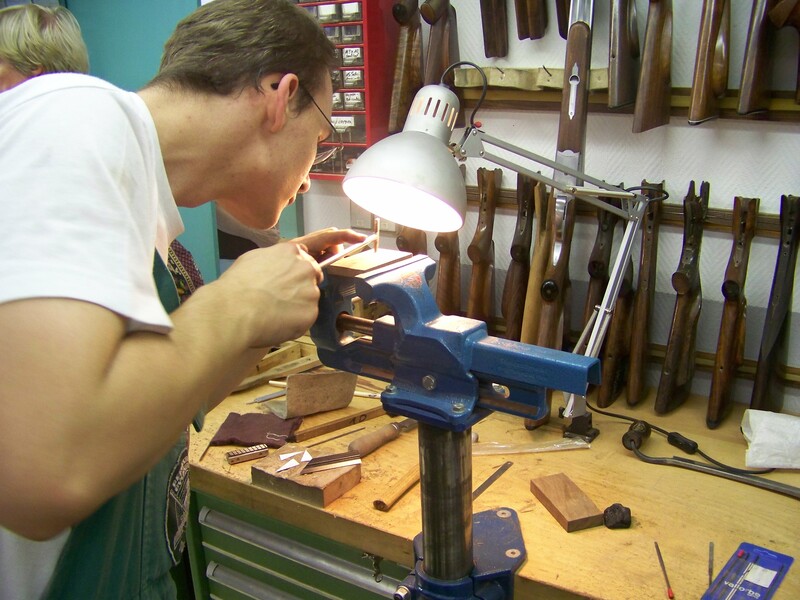 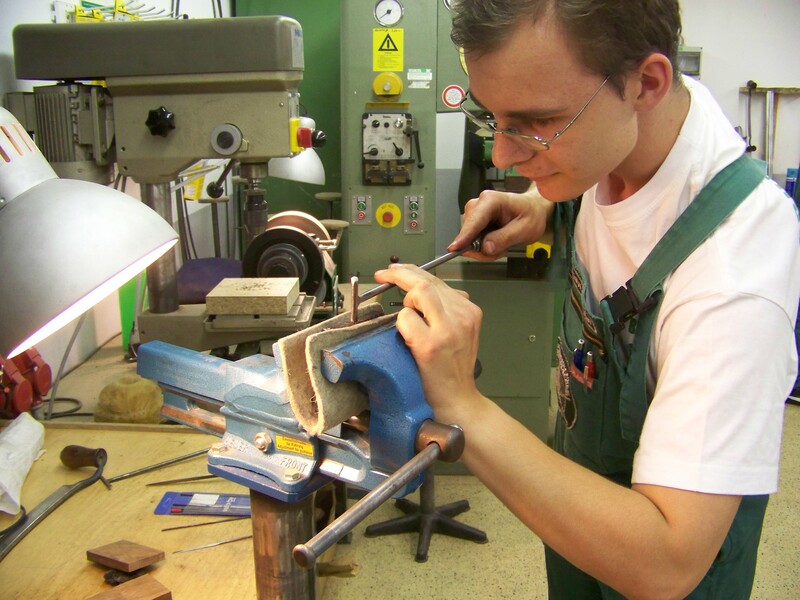 During the 2008 Tour to Suhl we had a chance to tour both the Gun Makers and Engravers school. 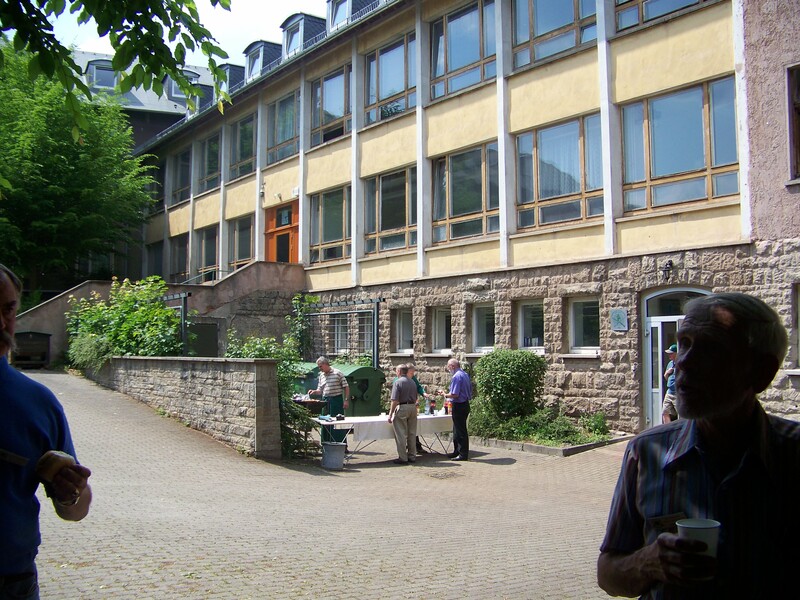 The following pictures were taken during that tour. 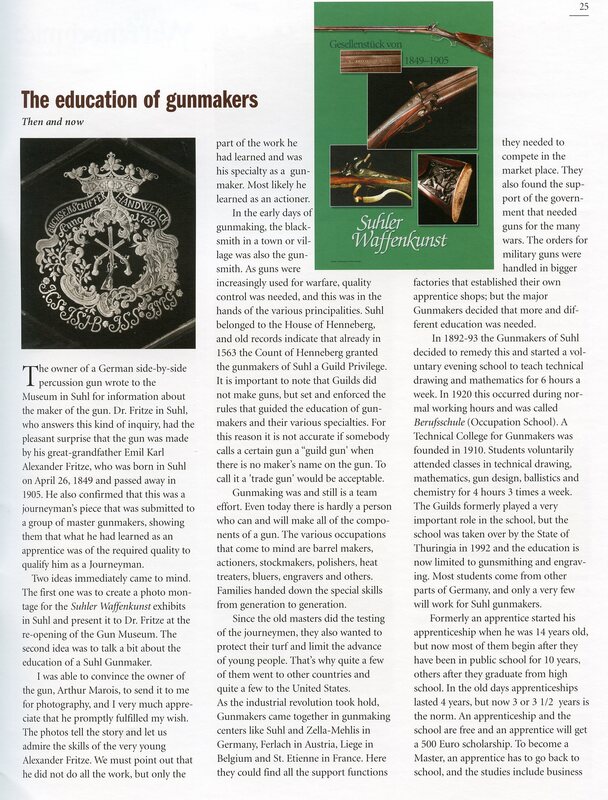 After the photo gallery there are two excellent articles about the history and development of the school. 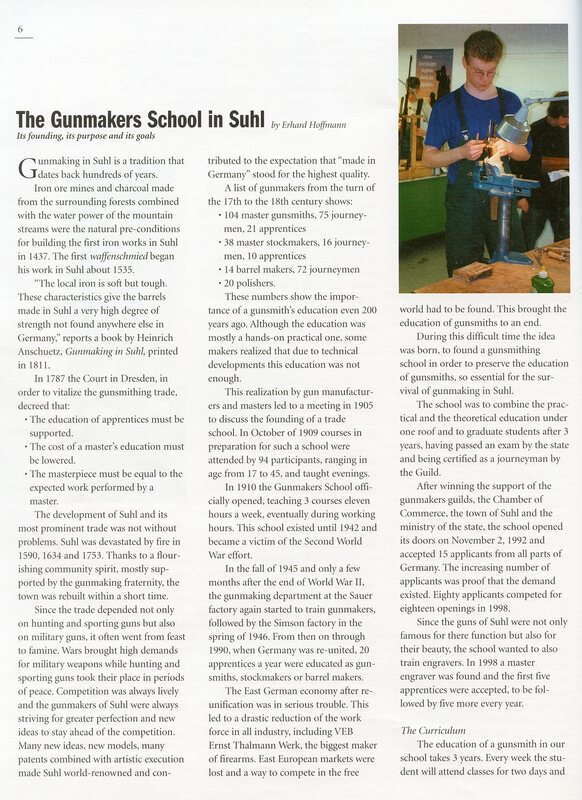 Click here to go to the School’s web site where you can read more about the school. 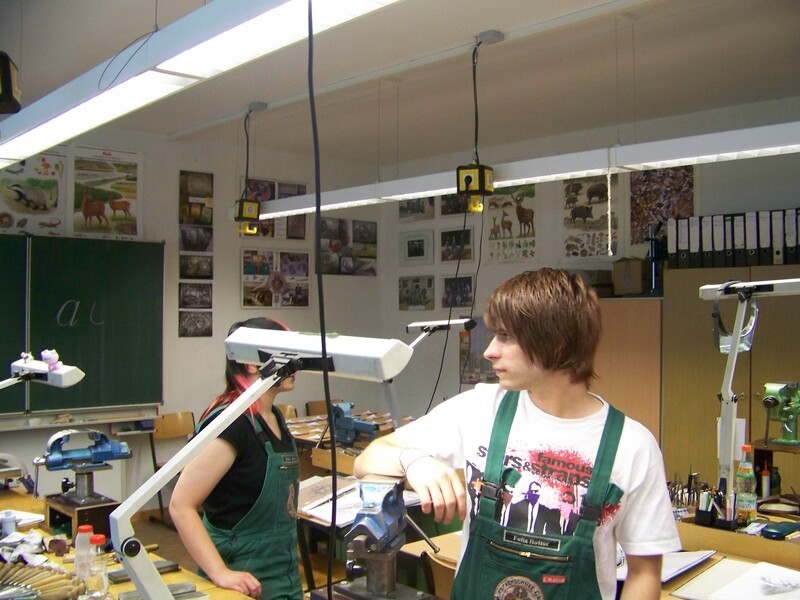 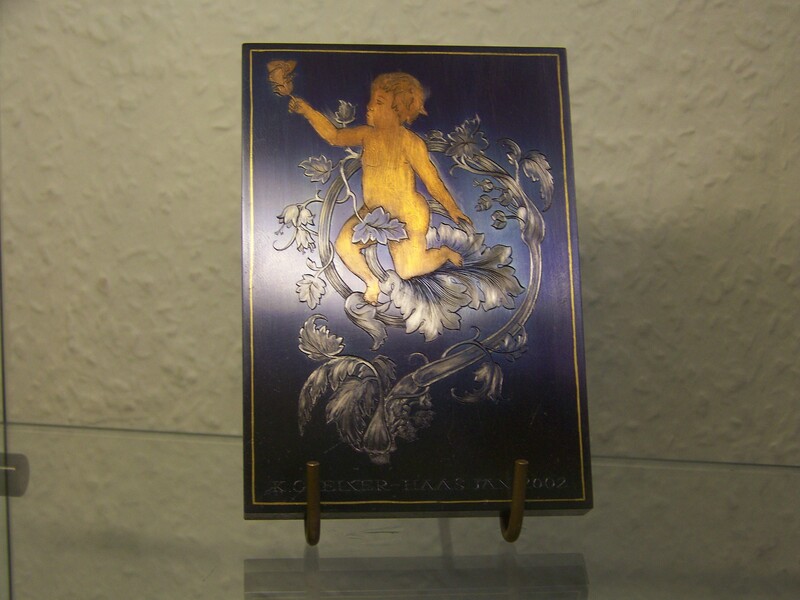 The following pictures were taken in the Engravers section of the School. 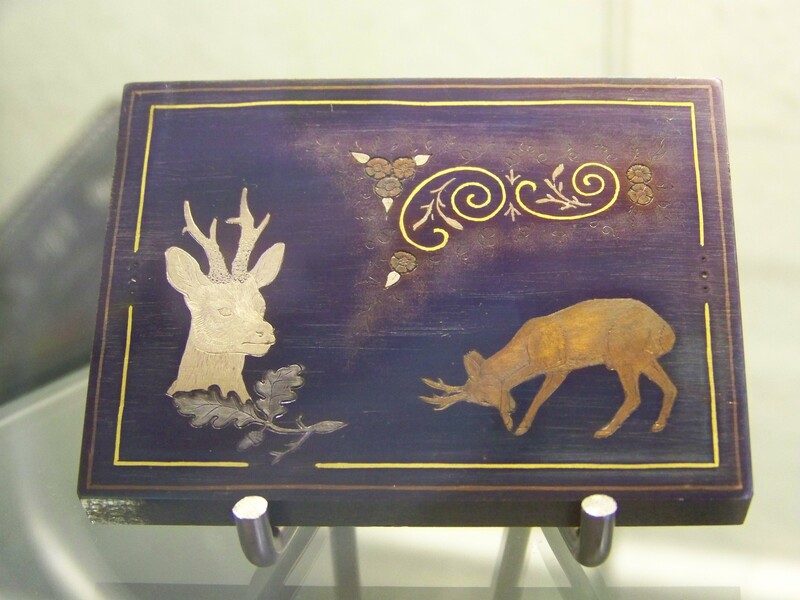 A sample plate finished by one of the past graduates and on display in the school.